Angimmune is a clinical stage biotech company founded by Dr. David Neville and two former members of his previous lab at the National Institutes of Health (NIH), Dr. Yuan-Yi Liu and Dr. Jung-Hee Woo. While at NIH these founders developed a unique immunotoxin technology. Angimmune has exclusively licensed this technology from NIH. Angimmune conducts research in a facility located at the American Red Cross Holland Laboratory, in Rockville, Maryland. major collaborator of Angimmune for the production, licensing and clinical trial evaluation of our new immunotoxin platform. Dr. David Neville is the President and Chief Scientific Officer of Angimmune LLC. He is a graduate of the University of Rochester Medical School where he spent an extra year in the department of pathology. He interned in internal medicine at Yale and then spent 48 years at NIH, pioneering the immunotoxin field. Recently retired from NIH he founded Angimmune. Dr. Neville combines a knowledge of medicine and basic science. His role is to bring the very best immunotoxins into clinical trials by knowing the strengths and weaknesses of the various molecular structures at his disposal and by carefully assembling and analyzing the most relevant clinical and laboratory data. is Senior Vice President of Angimmune. His duties include the development of new immunotoxins as anti-cancer agents and arranging foreign collaborations. 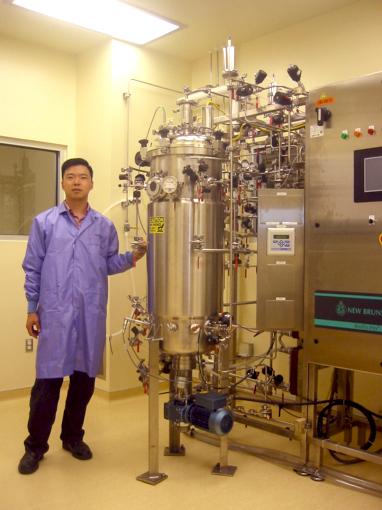 Dr. Liu has over 20 years experience in microbiology, molecular biology and antibody engineering. He received his PhD at the University of Oxford, England in virology. While at NIH, Dr. Liu developed a toxin resistant strain of P. pastoris for production of diphtheria toxin based immunotoxins. After leaving NIH Dr. Liu worked for Otsuka Maryland Medicinal Laboratories, Inc. as a Senior Manager prior to joining Angimmune. Dr. Jung-Hee Woo is Director of Drug Manufacturing Core Facility / Associate Professor, Cancer Research Institute, Scott & White Healthcare, Temple Texas. Dr. Woo has a PhD in Biotechnology and more than 20 years of experience in molecular biology research and targeted toxin development. He pioneered the use of the yeast Pichia pastoris for anti-T cell immunotoxin production. At Scott & White he produced GMP grade immunotoxin at the 150 L scale. Scott & White is a major collaborator of Angimmune for the production, licensing and clinical trial evaluation of Angimmune’s new immunotoxin platform.